This was a signage or welcome board ordered by a close friend for her wedding last year. Haha yeah, too long kepam before posting it here. 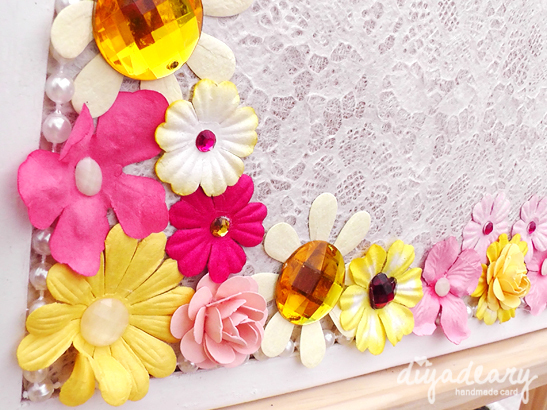 Anyway, the color theme for the board, was yellow and a little bit of pink. 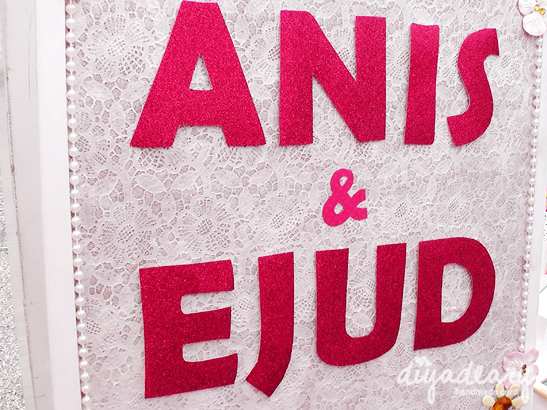 However since there were too much of yellow for the wedding element, we put extra pink element for board, for a contrast. Okay, not true. We were actually run out of gold metallic paper. Sigh. But it was still nice, no? The board used was actually a noticeboard, painted with white paint and covered with a nice handmade lace paper (or maybe it was actually wrapper). We were so in love with the paper, and felt so sayang to use it. LOL. 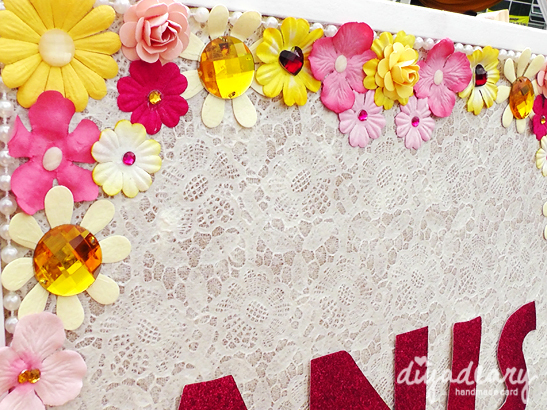 We just decorated the board with lots of flowers and fake diamonds. Well, do you notice the bulky roses on the board? It was made from scratch, and love how the result turned in the end - pretty blooming roses. 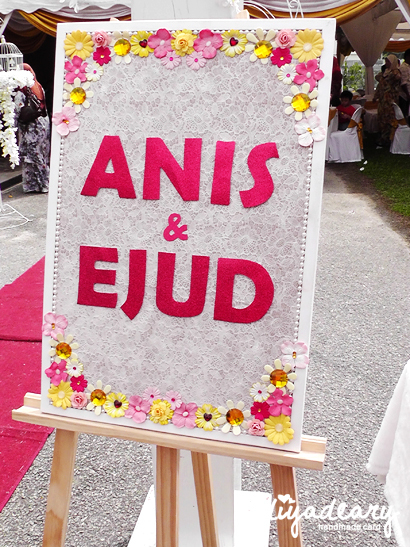 The board is not only use as a welcome board or wedding signage alone. After the wedding, you can have it as decoration at your home, Just hang it on the wall and you are done. Simple decoration but the most lovely is the wedding memory intact in your home surroundings. So that's all for now. See you later!